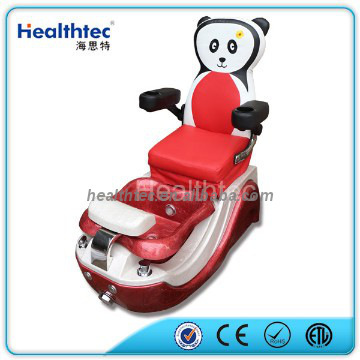 Normal pu leather is regularly used for childres spa chair. 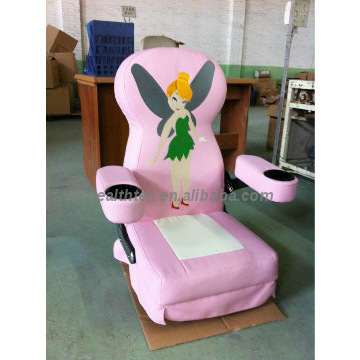 Regularly,we have panda,kitty,cinderella,dog and princess patterns. Massage Strength : We have 3 levels : low,middel and high powers.  Normal pu leather : many colors options. 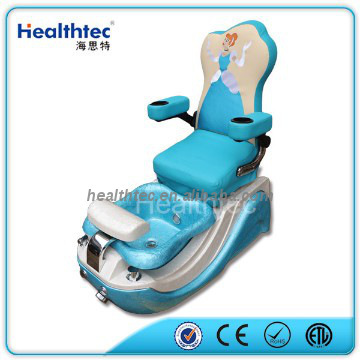 Swing Up/Down armrest for easy access with manicure/drink tray. 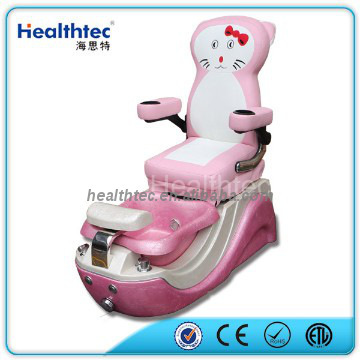 We do have another designs of kid pedicure spa chair,please consult me for further information. Also,any question or concern please feel free to EMAIL me or CALL me. Please advice your detailed consignee address with zipcode and how many set you order. Then we will get back to you within 24 hours. Please advise me which port is the nearest one for you.Then we will get back to you within 8 hours. A.We regularly accept T/T,Western Union,Paypal payment methods,but the banking handling charge we wont take it.please notice.